Achalasia is a motility disorder of the esophagus that causes difficulty swallowing and other problems. Achalasia is a rare disorder which occurs when the nerve cells in the esophagus deteriorate. It is not known why the nerve cells begin to degenerate but the loss of these cells leads to dysfunction of the muscles in the esophagus and the inability of the lower esophageal sphincter (LES) to close properly. The LES normally contracts to open, allowing food to enter the stomach from the esophagus and then relaxes closed to keep food contents from coming back up the esophagus. In 1929 when doctors discovered that the cause of achalasia was an inability of the LES to close properly they called the condition achalasia, which means failure to relax. Achalasia may be inherited in some people but usually, occurs in both middle-aged adult men and women. The incidence is estimated to be about 1 in 100,000 individuals per year. An infection called Chagas (caused by Trypanosoma cruzi) can also cause achalasia. It is also important to know that achalasia is sometimes misdiagnosed as gastroesophageal reflux disorder (GERD). Early diagnosis of achalasia is very important, as achalasia can increase your risk of developing cancer of the esophagus. Your physician may suspect achalasia based on your symptoms and physical examination. Achalasia should be suspected if you have difficulty swallowing both solids and liquids and you have regurgitation that has not resolved despite treatment with proton pump inhibitors. Proton pump inhibitors are a class of medications that are commonly used to treat acid reflux and include Prilosec, Nexium, and Dexilant. Current recommendations for the treatment of achalasia include graded pneumatic dilation or surgical myotomy with a partial fundoplication. These esophageal procedures have been shown to be the most effective treatments (more information about these procedures below). For those who cannot undergo surgery or choose not to, botox injections followed by treatment with medications is recommended. There is currently no treatment available which is capable of restoring normal muscle function (peristalsis) to the esophagus. Therefore, all treatments are aimed at reducing pressure in the LES. Surgical myotomy is an invasive procedure in which the muscle fibers of the LES are divided. It can be performed laparoscopically which decreases recovery time. 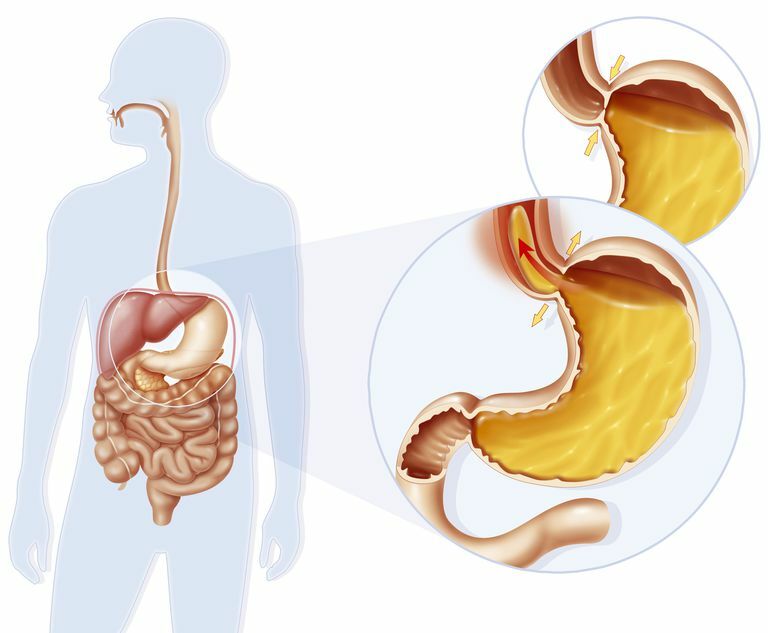 Studies have shown surgical myotomy to be very effective at decreasing the symptoms of achalasia but the development of GERD after this procedure occurs frequently. For this reason, it is recommended that surgical myotomy is performed along with another procedure called partial fundoplication to prevent GERD. Pneumatic dilation (PD) is a non-surgical procedure that uses air pressure to disrupt the muscle fibers in the LES. The procedure is performed using light sedation. There is a risk of perforating the esophagus (accidentally tearing the esophagus, or making a hole in it) and after the procedure, you must have a barium esophagram to make sure that the esophagus has not been perforated. Studies show that when performed properly PD provides good to excellent relief of the symptoms of achalasia. Results are not permanent but may last for years. Esophageal Dilation is similar to pneumatic dilation but during esophageal dilation, the doctor stretches the LES with the dilator. Some patients may develop GERD after this procedure. Botox injections have been shown to reduce pressure in the LES but are not as effective as PD or surgery. The injections are done endoscopically and the main appeal of the procedure is that there are few side effects, low risk of complications, and recovery is generally rapid and uncomplicated. Symptoms frequently reoccur and subsequent injections are needed in many people who choose this treatment. Esophagectomy, or surgical removal of the esophagus (or portions of the esophagus), is reserved for severe cases in which other treatments have failed. Medication management of achalasia is considered the least effective method for controlling symptoms. However, for those unable to undergo surgery and for whom botox treatments have been ineffective medications may be used. Medications called calcium channel blockers, which are commonly prescribed for high blood pressure, are frequently used for achalasia because of their ability to relax smooth muscle. This relaxation reduces the pressure in the LES. Another medication called sildenafil (Viagra) has also been shown to reduce pressure in the LES. Other medications may be used depending on the situation and discretion of your physician. Due to an increased risk of developing esophageal cancer, all patients with achalasia should have regular follow-up visits with their doctor, even when treatments are effective. Your physician will monitor and screen (as appropriate) for esophageal cancer. How Does a Perforated Esophagus Happen? Do You Know What It Really Means to Be Tongue-Tied?